NORMAL – Illinois State football will wrap up spring practice on Saturday when the Redbirds host the Kids Football Fest for Reggie’s Kids Club members at Hancock Stadium. Registration will begin at 10 a.m, followed by the program starting at 10:30 a.m. and lasting till noon. This event is free and open to all Reggie’s Kids Clubs members ages 12 and under with adult supervision. Activities will include a catching station with Redbird quarterbacks, a field goal station with Redbird kickers, tackling stations and an obstacle course. The kids will also have the chance to dress up like an Illinois State Redbird football player and even get pictures with Reggie Redbird. Head Football Coach Brock Spack will be in attendance to talk to guests about the importance of playing sports and staying active. The Spring Showcase scrimmage will kick off at 1 p.m. to wrap up the day’s activities at Hancock Stadium. 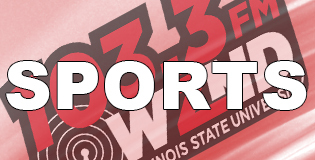 Illinois State Football will open their 2019 season on the road against Northern Illinois on August 31st. Nick Imparo contributed to this story.